The Air Jordan 9 has always been an odd silhouette. Whether you like the sneaker or not, you can't help but admire the design of the shoe. 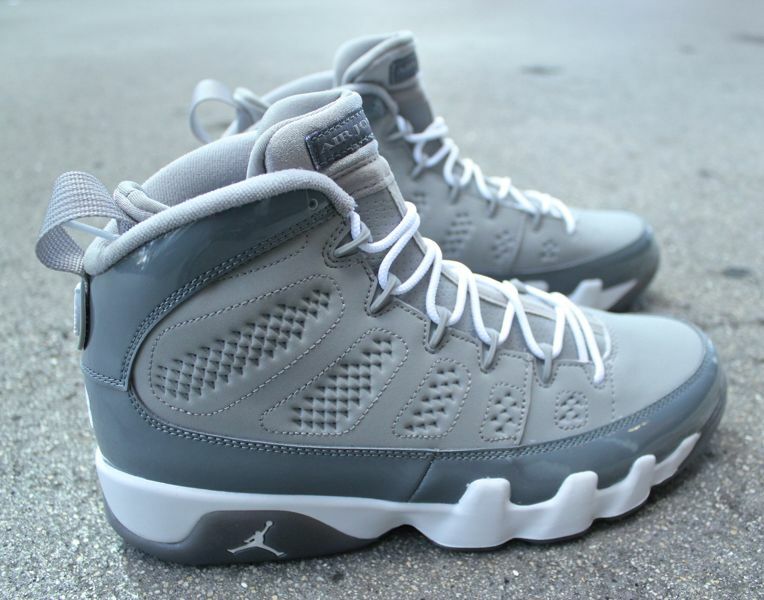 The Air Jordan 9 Cool Grey is one of the most subtle colorways featured on the silhouette. This simple look is done up in shades of cool grey on the upper and finished off by a white midsole. The simple look is one of many featured on the Air Jordan 9.